With all the choices available in the market today, it could be a bit tricky to find the best home surveillance system that suits your need. 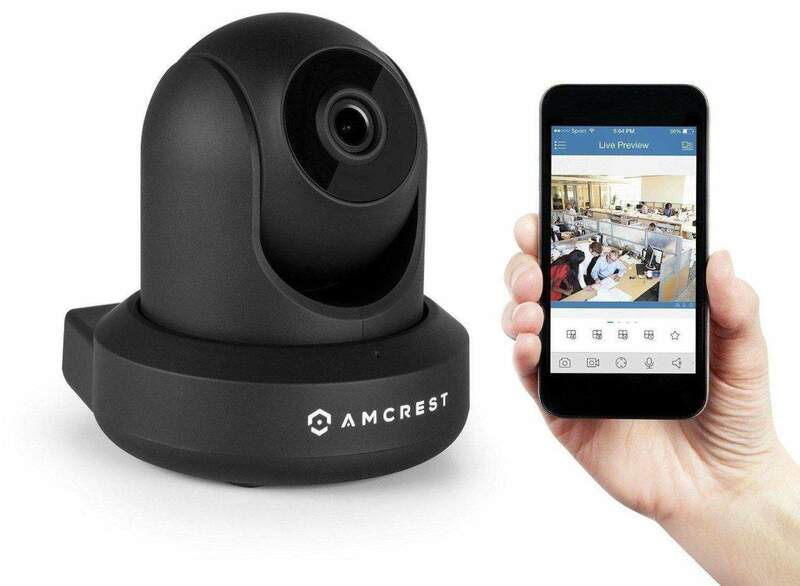 Amcrest ProHD 1080P (1920TVL) WiFi IP Security Camera is one of the choices that homeowners might want to include in their list of options when shopping for security cameras for home. This system comes packed with several useful and exciting features that homeowners will surely love. But before you go out and get this system for yourself, you need to know more about this security system to see if this will suit your needs. Go through this short review to determine if Amcrest is a good buy. Who Is This Amcrest ProHD 1080P WiFi IP Security Camera Designed For? Amcrest Amcrest ProHD 1080p Wi-Fi makes sure that you will stay in touch with the things you love no matter where you are and no matter what time of the day it might be. As one of the finest home security cameras today, it comes with a real HD in 1080p and free Cloud storage of 4 hours. It also has several storage options and pan/tilt with improved zoom. It also comes with night vision of up to 32 feet. You can also listen and talk on its two-way audio. On top of that, this home security camera offers quick and easy setup. Amcrest ProHD camera has QR code on the bottom which can be scanned with your mobile device with the use of the free Amcrest View app. You can now say goodbye to the traditional complicated setup process where you need to be good with networking. Anyone can easily and quickly setup ProHD on WiFi with the use of a mobile device. With an Ambarella processor and Sony image sensor, Amcrest ProHD camera can stream crisp video quality of 1080p. Enjoy rich imagery and vivid colors at 30 fps made possible by the full 1920x1080p resolution. There is no longer a need for you to lean in close, strain your eyes or play a guessing game if such level of details is available. Amcrest Cloud allows you to login from your computer or you can also use Amcrest Cloud app on your mobile device to view recorded footage. Thanks to the intuitive interface, intelligent timeline display, you can playback recordings in a seamless 1080p quality with great ease. Amcrest Cloud provides four hours of continuous recorded storage all for free. You don’t have to pay any subscription fee and start using the cloud service free from risk. Aside from Amcrest Cloud, Amcrest ProHD can record to an FTP server, microSD card slot, a NAS, on your computer or any Amcrest NVR. See an area with fluid 360 degree pan/tilt visibility and digital zoom function which constantly sharpens and enhances your video. The 90 degree viewing angle and capacity to move the camera no matter where you are gives complete control on what you are watching. Many consider it as the best home surveillance system as it lets you be there on the scene with its built in two-way audio. There is an embedded mic and speaker and makes use of modern noise cancelling algorithm. The camera’s cutting edge night vision technology gives you crystal clear pictures even in complete darkness. With a view range of nearly 32 feet in the dark, you won’t miss a thing. Setup may take some time for some users. Figuring out functionalities and settings may also take time. Question: Can you have several cameras in your house? Answer: You can have as many cameras in your house and you can all link them together in the app or on the Cloud. Question: What is the size of the SD card supported by Amcrest ProHD? Answer: The maximum size being supported is 64GB. Make sure that you don’t format your card in Mac or Windows. Turn the camera off and insert the microSD card all the way. Turn the camera on and allow one to two minutes for it to fully boot. Question: is the camera going to work if you set it on a window sill at night to look through the glass? Answer: Yes. You can have the camera pointed out a closed window with no screen and with closed curtains. It is recommended that you don’t connect the camera to a wireless device right away. If you will use a wireless network, plug this camera to the router with Ethernet cable first. Set this up on desktop. The Amcrest ProHD 1080P (1920TVL) WiFi IP Security Camera is a great camera for those interested in a low cost, easy set-up security camera. If you’re interested in seeing other home security cameras, we recommend reading our guide to the best security cameras.